← Join the Molecular Ecologist blogging team in 2018! 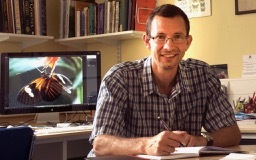 This week’s interview is with Dr. Chris Jiggins from the University of Cambridge. 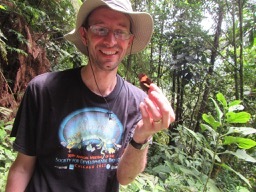 Chris and his colleagues broadly study the adaptation and speciation of butterflies and moths. However, I’ve heard that if you look in a mirror and say “Heliconius” three times, he appears with a manuscript in hand. I study the evolutionary biology of Heliconius butterflies. Projects range from studies of wing pattern evolution and diversification, through to speciation genomics and the genetic basis for species differences. We are currently working on pheromone signalling and differences between closely related species in their chemical signals. The key is to recruit the right people and treat them well. When I first started my lab, I often tried to direct different people in to working together on joint projects, but I have discovered that it works much better when this happens organically. So now I try to ensure everyone has ownership of their own project, but I am often encouraging or looking for ways in which different people in the lab can help one another out. It helps if you have recruited people with different and complementary skills and interests. I have been hugely privileged to work with some amazing people over the years – it’s the best thing about this job. I also think it is very important to allow postdocs to develop their own projects that they can take away with them when they leave the lab. This is very important for career development and has the added benefit of building up a network of future collaborators! Also, I always keep my office door open, so people feel they can drop by and ask me questions any time. Outside term, I am mostly talking with members of my lab discussing projects, working on manuscripts and occasionally intense periods of grant writing. 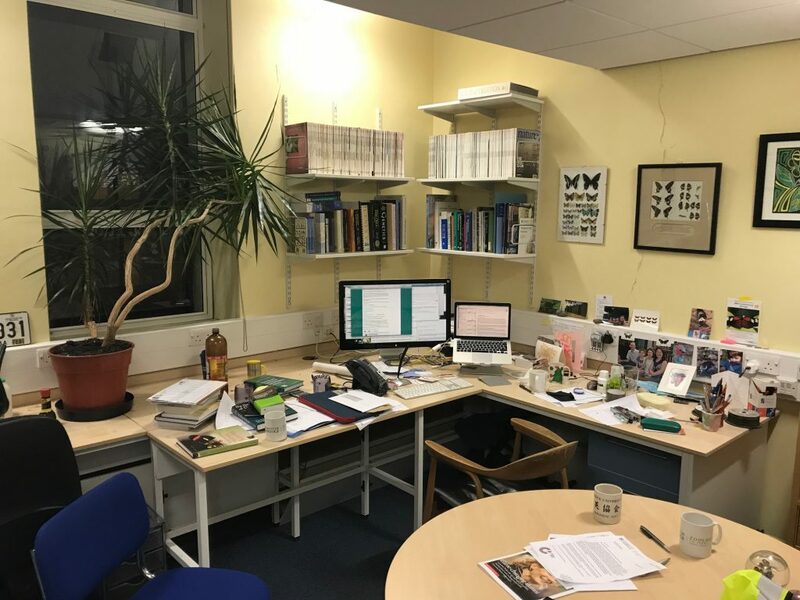 During term time, I also have a lot of admin meetings, 4-5 hours per week of small group supervisions (which is the Cambridge name for tutorials), and lectures. Nowadays I don’t often get to work on my own experiments or data collection. I wish I had more time for working on data, learning to code and fieldwork in the tropics. I prefer silence. Nowadays its more likely to be my daughter’s Spotify playlist. Mainly spending time with my children – reading and walking. I have a big allotment that I share with my brother (also an evolutionary biologist in Cambridge), where we grow fruit and vegetables for the family. This takes up a lot of time. 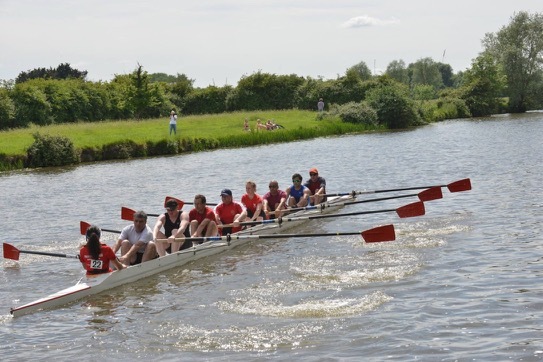 In the summer I row with the Fellows eight in my College. Vermeer’s Hat by Timothy Brook I bought this on a recent trip to Holland because I became fascinated by Vermeer and wanted to learn more about him – but in fact it’s not really about the painter at all, but still an interesting book. I tend to wake up early and if I have urgent work to do 5-8am can be the most productive time of day. Nowadays I rarely do much productive work in the evening. When I was younger I could sleep anywhere (such as overnight Ecuadorean buses), but nowadays I need a lot less sleep and sometimes struggle to sleep well. I was looking to move back to the UK (from STRI in Panama). I had been invited to apply for a lectureship in Edinburgh by Andrew Read, and was so flattered that of course I did so. However, then several people told me I would be better applying for research fellowships instead of a lectureship. In the end I didn’t get offered the lectureship, but ended up in Edinburgh anyway on a Royal Society University Research Fellowship, so it all worked out rather well. More broadly however, I didn’t worry all that much about my ‘career’– I think we were generally more relaxed about these things a few years ago. The advice I always give to Early Career Researchers nowadays is to focus enough during postdoc years such that you can become known for a coherent body of work, rather than just lots of papers on different topics.